Ever get tired of the same old watered down lite beers? if so, your not alone. here you will find the widest variety of craft beers in all of the mid-south. 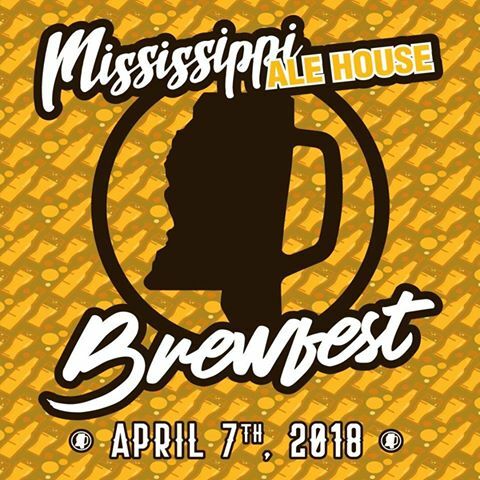 The Mississippi Ale House is hosting the first Mississippi Ale House Brew Fest on Saturday, April 7, 2018, at 1 p.m. This will be held at the Mississippi Ale House in Olive Branch, MS. We’ve recently opened our new back patio area and would love for you to come out and play Corn hole or just enjoy the nice spring weather. The Mississippi Ale House Brew Fest will host most of the breweries from Mississippi, plus a few national breweries. Each one will bring a few rare beers for tasting. Some of these beers can only be found at the breweries themselves and this Brew Fest. Food trucks will be onsite during the day and the Brew Fest will wrap up with a concert at the Mississippi Ale House that evening. Tickets are $40 per person. Click the link at the top of the page for tickets.